You must make reservations at least 5 minutes in advance of the time at Leo's Oyster Bar. Street parking can be very difficult. There are many parking lots in a 3 block radius. 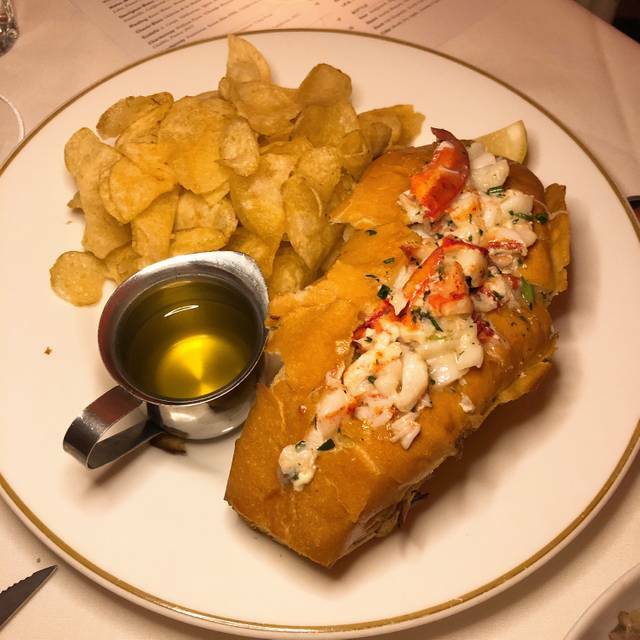 Fashioned after the great cocktail and oyster bars of the golden era, Leo’s Oyster Bar is a glamorous 3-star seafood-focused restaurant in FiDi from Big Night Restaurant Group co-owners Anna Weinberg and James Nicholas, along with executive chef Jenn Puccio. The transportive “1950's Beverly Hills meets Manhattan club" was designed by Ken Fulk alum Jon de la Cruz and has received critical acclaim for its interiors, earning the title of Best Designed New Restaurant from Bon Appetit as well as a nomination for the James Beard Foundation's Best Restaurant Design award. Whether you're posted up with a decadent raw bar plateau in Leo's light and fern-filled conservatory, or enjoying vintage Champagnes within the restaurant's speakeasy-style cocktail lounge The Hideaway, Leo's Oyster Bar offers luxurious, timeless experiences that have earned its place on every San Francisco hit-list. Leo's Oyster Bar involves pricey, but tasty seafood in an '80s power yacht come to life. Obviously it's in the Financial District. Leo's oyster bar serves amazing food! 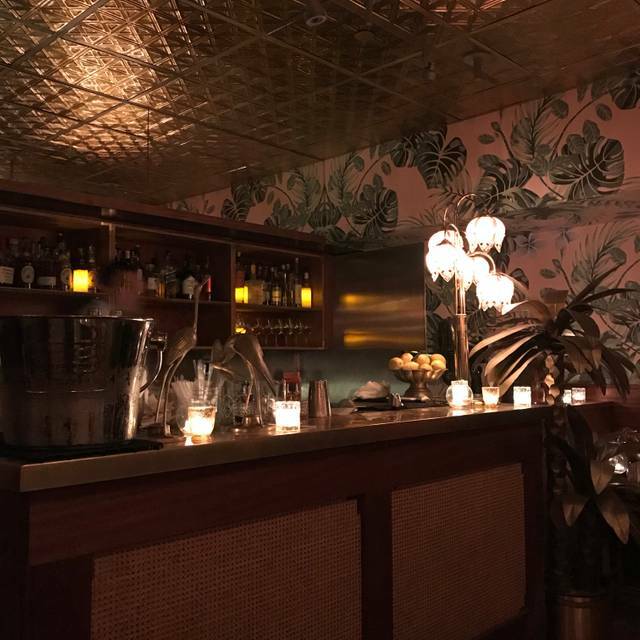 Their service is amazing and the decor is also very awesome. We hope to go back again! It's expensive, but you're getting what you pay for. 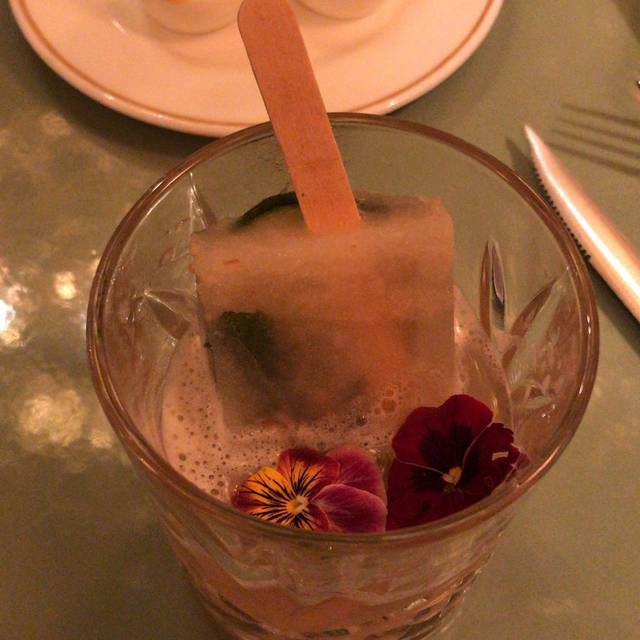 You can taste the care the drinks are made with and the food was a 10 out of 10. The Brussel sprouts were amazing and are a good portion size for two. The grilled rib-eye was cooked to perfection. Oysters are a little pricey so I would go to HH for those. Service was good—our waiter was super friendly, helpful with suggestions and gave us two complimentary pancakes with carver (so good!). Overall, the experience was great! My favorite place to take guests when they visit San Francisco. 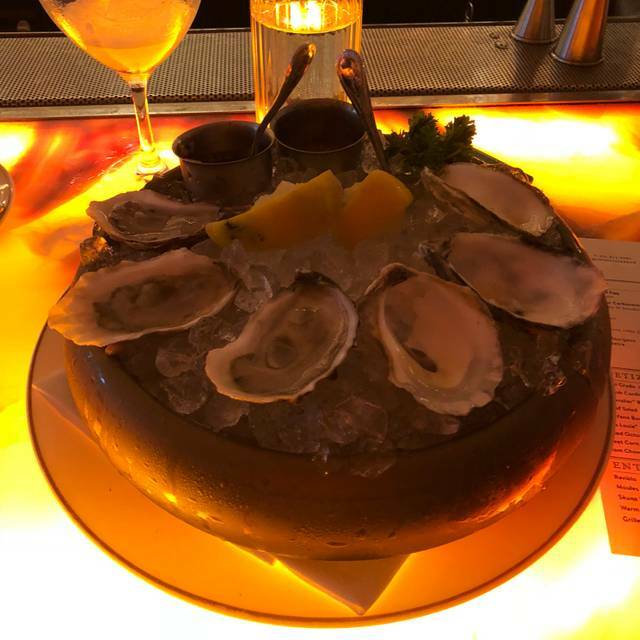 Immaculate oysters, great martinis, a lovely ambience, and unbeatable lobster rolls. The decor and service was lovely however it was too loud to have a conversation and the food was quite bland. I think this place could be great if they tried to make it more of a restaurant and less of a bar. The oysters were fantastic and the main reason we went but the bouillabaisse and pasta with lobster and crab were wonderful too. Our server was knowledgeable and very warm and welcoming. We were celebrating a house closing and it was a perfect place for a festive dinner. A sublime dining experience & staff are the BEST! 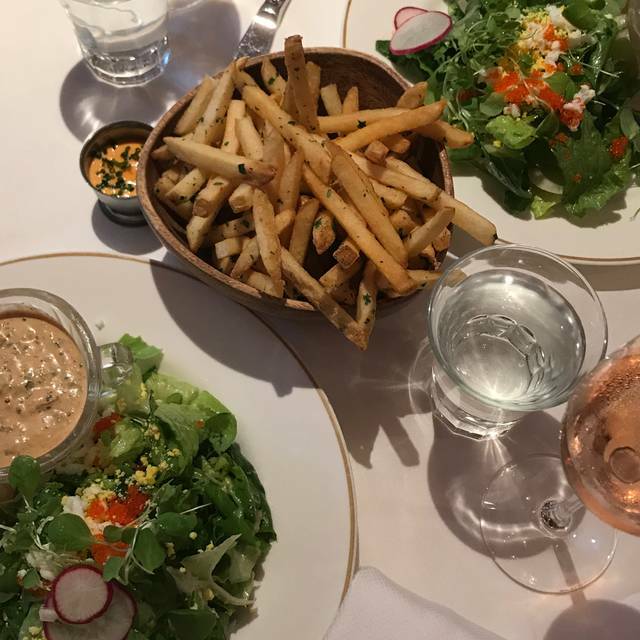 Perfect FiDi location and happy hour is#1! Nice room in the back. Ricky R is a great server. Room in the back is great for groups. Great music sound track. Kussho oysters & Dr Loosen/Muscadet is a great choice. If they have seafood pasta special, order it! Great ambiance in here and they did a great job at making us feel special for a birthday! The decor was super cute and they were very accommodating. The food was really good. We just did a bunch of apps and it was enough food! This place has emerged as one on my most epic go-to's. 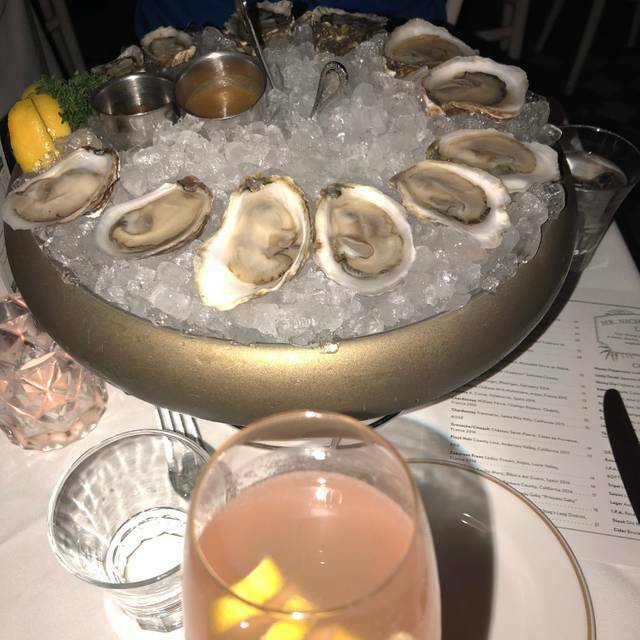 Superb Oysters, deviled eggs are sensational, sandos and entrees equally delicious, and the wine list complements the food with great selections at every price point. If Leo's doesn't become one of your favorite spots, there is a defect in your brain that needs curing. Leos is always amazing when we go! The service could have been a tad friendlier but I get it, we went late on a Saturday night so I totally understand. Food was delicious! Definitely a must-try restaurant. Great decor and food is awesome. There are three dining areas and the back rooms are perfect for conversation. And i can't say enough about the service. Our waiter was amazingly patient, never rushed us, and quite knowledgeable. My only issues was that the tables for two were quite small and tough to not knock over a glass, or hit your hand on a plate. Excellent for a business meal, particularly to celebrate a team accomplishment. The food was delicious, and staff was very friendly and helpful. I appreciate that they were accommodating when our group had some trouble. The ambiance is fun and different. It was easy to hold conversation with people next to you. Always great and delicious! Shrimp sandwich is wonderful and pork sliders are a must!!! Amazing food and service; from the servers, to the bartenders, to the manager/owner. 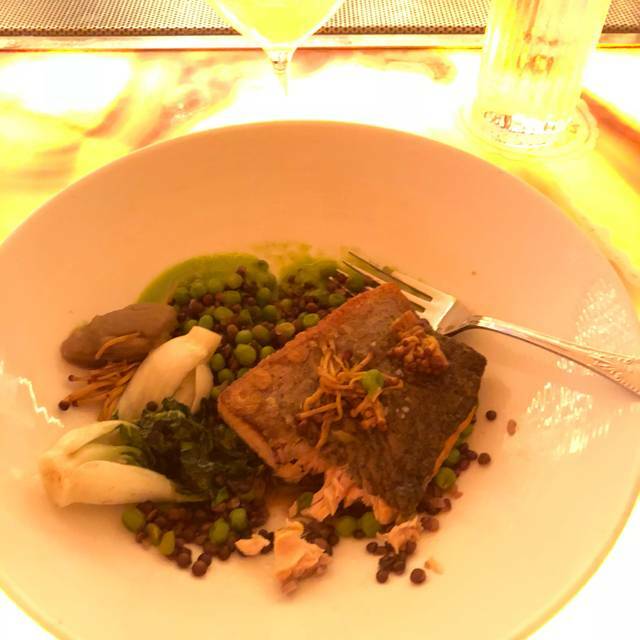 It was very expensive...…..but the food and drinks were to die for. Great venue and cocktails. I have never had dinner there before and I would not recommend. The service was extremely slow and we were there for three hours, not by our choice. I’ve ordered oysters there before and the sever prior was so much more descriptive and helpful with selection, so maybe it was an off day. We also boxed up our food and they took it away to being bring it back to us but they never did and we left without it (partly our fault) . Server seemed preoccupied and never really checked in with us. 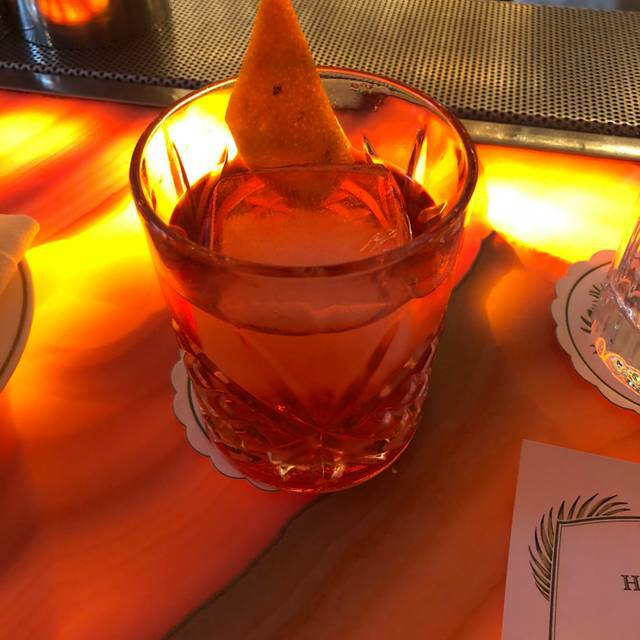 Great for happy hour, but maybe just stick to the bar. I had to check in several times with the hostess and wait 20 minutes after our reservation time before we were seated. We got a tiny table deep inside, near a small bar area. Place was very loud, food okay but not more than that. I have no complaints and I would definitely recommend this place! Unfortunately the crab did not taste fresh but the server graciously took it away with no fuss. Loved everything else otherwise! So consistently wonderful! Food and service were quite good. But, the plan is fair too noisy to carryon normal conversation even in a back room. first off, thank you open table for making reservations seamless. leo’s was everything i imagined it would be and so classy. they were accommodating and sweet! made what appeared to be a simple lunch as special as the occasion. it felt like we were in another world. thank you! Very mediocre at best and extremely expensive. The ribeye wasn’t even grilled, tasted like roast instead. Very disappointed. Interesting tasty food, great service, fun music (however, too loud), super friendly staff, very accommodating to requests. Second visit here and it’s a favorite destination whenever we’re visiting from the East Coast. The food was ok. The plates lacked presentation. Service was good. Great Service by the staff. Very caring, friendly but non-obtrusive. The ambiance of the back room Hideout was really nice. The Valentine's day set menu was great. Everything tasted really good for each course. Even the desserts were good. They included a sparkling wine as part of the set menu, so they did not try to nickle and dime you. The place ran like a fun machine. Great food and service as always. And a warm welcome! We were pleasantly seated in the interior room with the adjacent bar. Unfortunately, two seats over was a couple and clearly the female had been overserved or simply can’t hold her liquor. Service started out attentive, but there was an extremely long gap between our appetizer and then next course. A great deal of shuffling of staff and apologies with some blaming on “new people”. I would come back for drinks and bites/oysters but sadly found the menu a bit all over the place. Being that the name has “oyster” in the name, but not a great deal of seafood offers on the menu. Don’t bother with the crab & artichoke dip, heavy and came with literally Kettle chips. 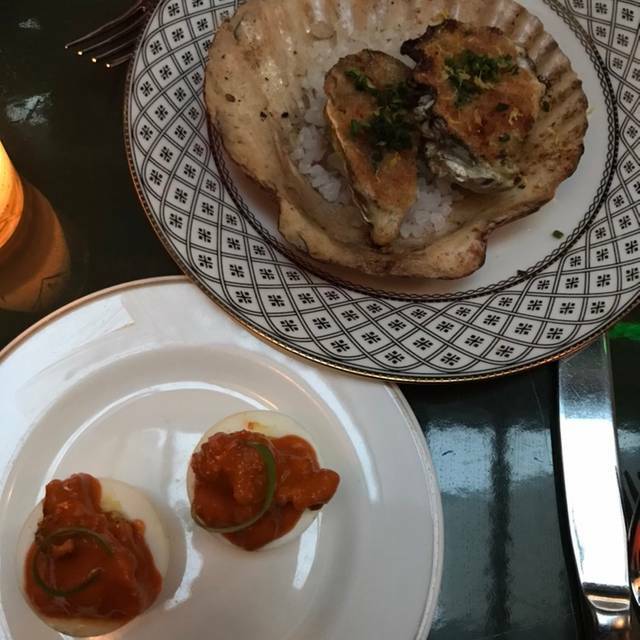 I chose Leo's because I am a huge oyster fan and they have a great reputation. I loved every bite, plus I was impressed with Maria's professional and personable service. I was also impressed at the creative approach they took to preparing oysters and drinks. My "Bubble Bath" drink was delicious and beautiful with pansies floating in them. It might have been my most expensive lunch of my lifetime and worth it! I love the atmosphere at Leo's. It feels special, like you're in the Caribbean, and the food is great. The service tends to feel cold, though, like the server is annoyed with you.